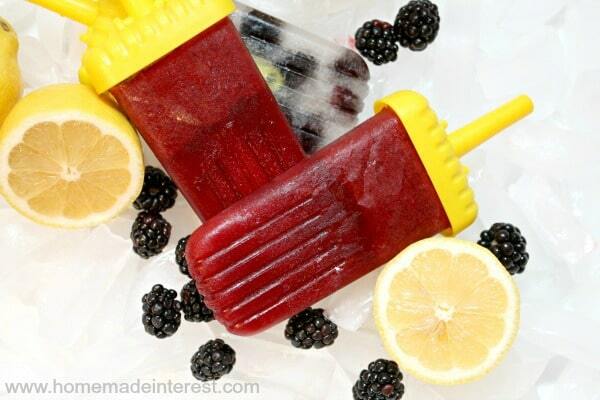 These Blackberry Lemonade Popsicles are all natural and full of flavor. A great summer treat for the kids! My kids have been on a popsicle kick lately and the store bought brands are convenient but full of things I can’t even pronounce. I was at HomeGoods the other day and happened to see a popsicle kit for only $6. I figured, what the heck, for only $6 I’ll give it a try! My youngest kid has been really into blackberries lately so for my first try at homemade popsicles I made these blackberry lemonade popsicles. I love the taste of lemon and blackberry together as you might have noticed from some of my other recipes. So, I decided to use lemonade as my liquid for these popsicles. I mean it is summer and doesn’t blackberry lemonade sound delicious? 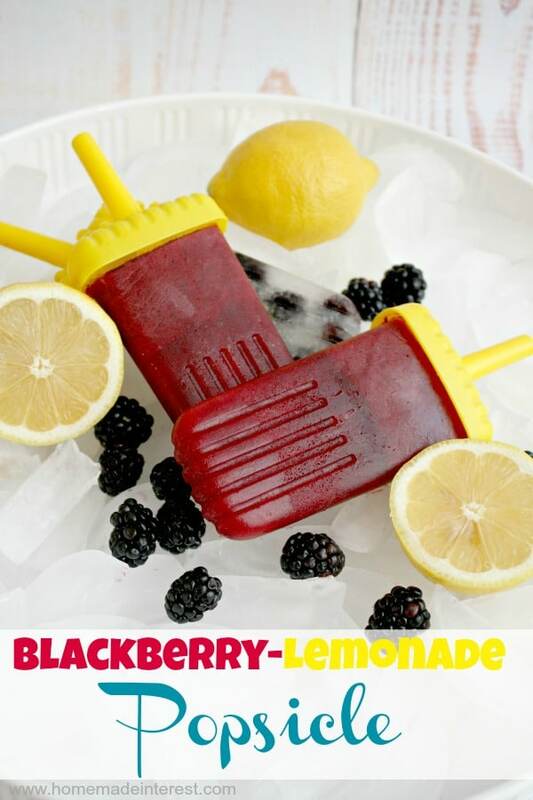 Turns out blackberry lemonade popsicles are even better! **Note: This post contains affiliate links which means we may receive compensation if you purchase a product through our links. I pureed the blackberries with 4 tablespoons of water with my handy immersion blender. I love that thing it makes getting everything nice and smooth so easy. The blackberries weren’t quite sweet enough on their own so I added 3 tablespoons of Agave Nectar . I like to use that because it is a natural sweetener that is sweet enough to get the blackberries to just the right flavor. I mixed the blackberry mixture with 2 cups of organic lemonade and poured it into the popsicle form. I think the hardest part of this whole process was clearing out a space in my freezer that was big enough to put the popsicle tray in and make sure it was sitting flat. It wasn’t easy but I managed it! Once they were in there I waited 4-6 hours and they were done. My kids loved them! 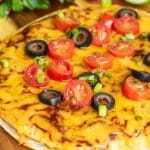 I loved them too because it was easy to make, and it is healthier and less expensive than buying store brands. I will definitely be making them again this summer and I can’t wait to try out different flavor combinations. 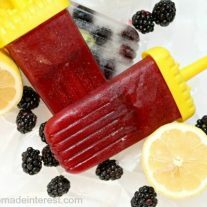 Sweet blackberries and tart lemonade make these blackberry lemonade popsicles the perfect popsicle recipe for summer! Follow Home.Made.Interest.’s board Food- Ice Cream & Popsicles on Pinterest. If you liked these make sure you check out our Pinterest Board! Any suggestions for my next batch? These sound delicious! I know my grandkids would love them. Thanks for sharing with Creative Spark Link Party. Hope you can join us again on Wednesday. I love this flavor combination! I bet it’s really refreshing on a hot summer day. Thanks Jess! I just linked up, I love linking up to new party’s. These look delicious! Can’t wait to give them a go! Yummy! We can’t stop making cold desserts at our house and this is a nice recipe addition. Thanks for sharing on Merry Monday. Pinned. These sound SO refreshing! 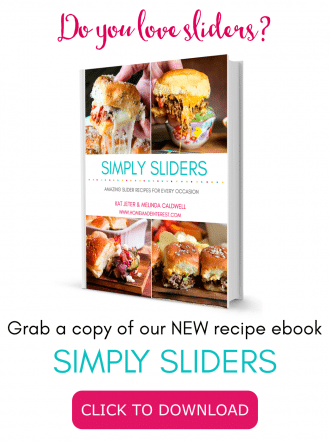 I love anything with lemonade–especially with a twist! Blackberry & lemonade is a great flavor combo for sure, and especially for these last few hot months of summer here in Arizona! Mmmm. These popsicles sound absolutely refreshing, Melinda, and what a great idea! 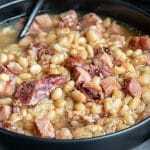 Aren’t they super easy and delicious when made at home? 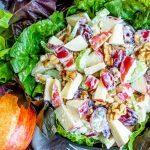 Thanks for linking up at last week’s #thatsfreshfriday link-up! 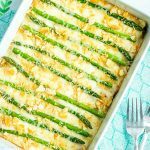 This recipe was one of my favorites, and I’ll be featuring it at my blog tonight as we launch another week of the link-up! Keep up the great work, and we hope to see you back at the party this weekend! So glad you joined us for the Caffeinated Crafters link party!! What a delicious sounding flavor combination! 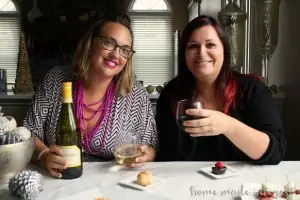 Thanks for sharing with us over at the Bloggers Brags PInterest Party! PInning to our group board.